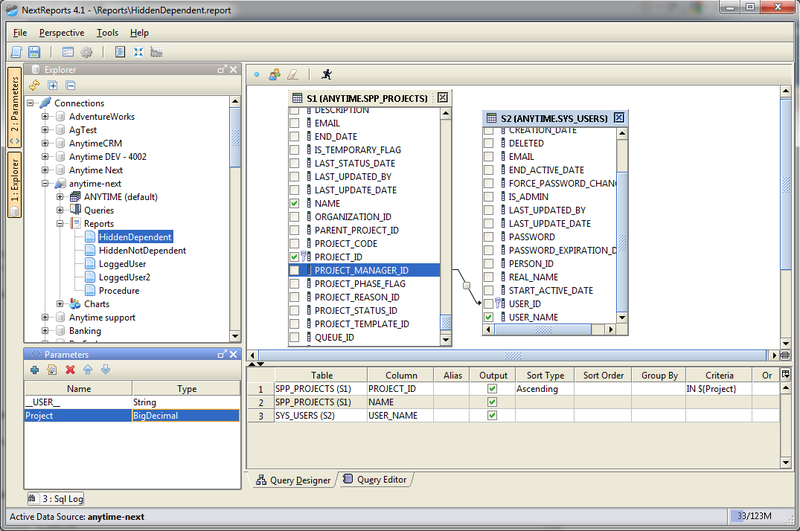 NextReports has a powerful support for parameters. You can have simple parameters, hidden parameters, chained parameters, procedure parameters. 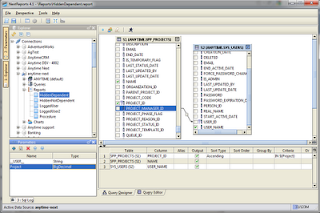 Parameters with values selected from table columns or from manual sources will have their type automatically selected. 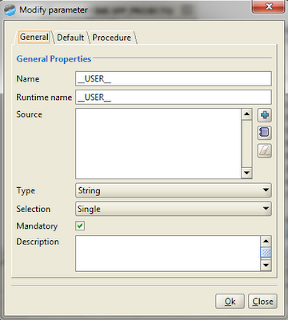 Parameters can have single or multiple selection. All of these will define how the user interface is created, what UI components will be used for selection. 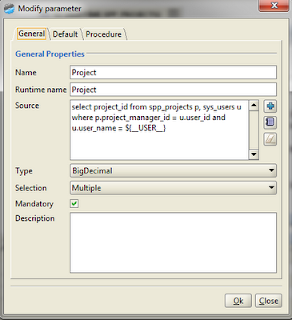 Till version 4.1 only parameters used inside the main query had a meaning and were taken into account. New version will bring also a new feature regarding parameters usage. 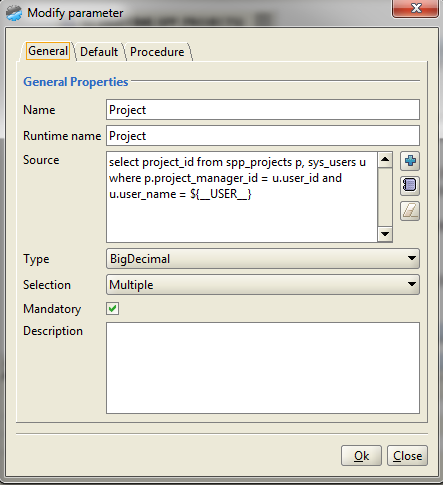 A hidden parameter can now be used inside the source of another parameter without of being used inside the main query. Let's take a simple example. We have a PROJECTS and a USERS tables. We want to select one or more projects for the user logged inside a NextReports Server, those projects which have the current user as project manager. Value is passed to this parameter on the server and it means the name of the current logged user. 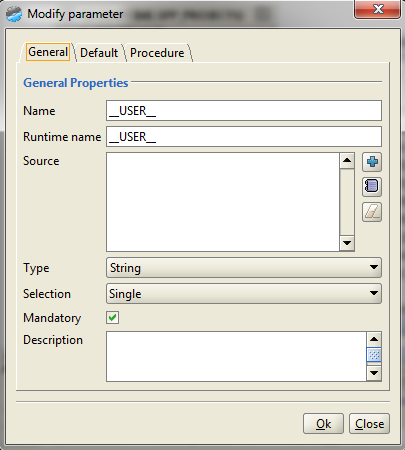 This parameter is defined as 'hidden', so it cannot be selected / modified from the UI.